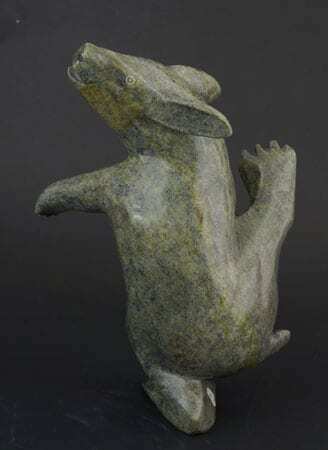 Kelly Qimirpik, master carver of dancing walruses, turned his attention to the Arctic hare. 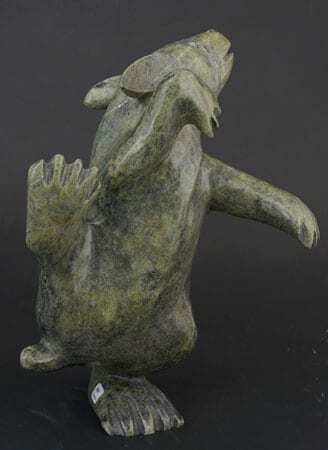 Beautiful stone and dynamic pose. 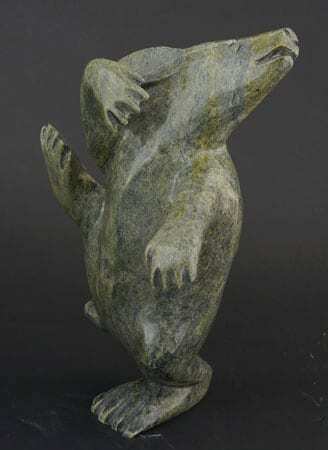 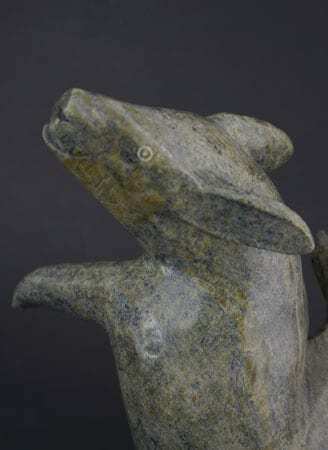 Mary Tutsuituk, of Arviat, carves primitive, yet evocative female figures from basalt. 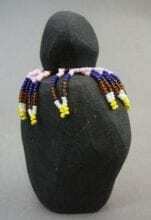 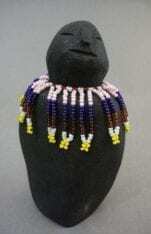 The figures are adorned with beads, representing the traditional Inuit amauti, or parka. 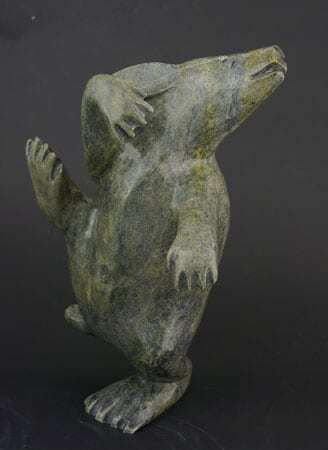 4 5/8" x 2 1/2" x 2 1/4"
"Kiviuq has latched on to the Fish-whale and has transformed into a part mammal.......for his unexpected voyage...throughout the depths of the underworld and beyond." 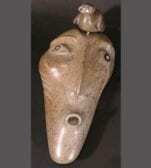 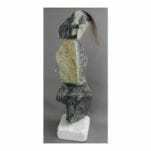 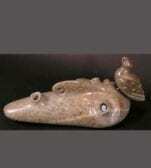 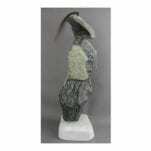 Carved from Brazilian Soapstone with inlaid eyes 17" x 9" x 4"